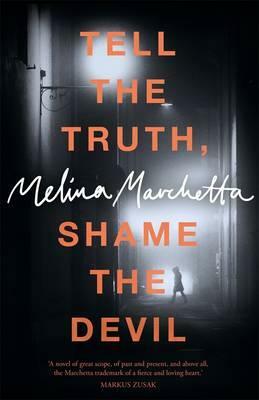 Melina Marchetta’s gripping new novel Tell the Truth, Shame the Devil is part family saga, part crime fiction, and wholly unputdownable. Chief Inspector Bish Ortly of the London MET, divorced and still grieving the death of his son, has been drowning his anger in a whisky bottle. Something has to give. He’s no sooner suspended from the force than a busload of British students on tour in France is hit in a bomb attack. Bish goes immediately to the scene, not in an official capacity, but because his daughter Bee was on that bus. Four people have been killed and another four critically injured. Bee has mercifully survived, and so too has seventeen-year old Violette LeBrac. Raised in Australia, Violette has a troubled background. Thirteen years previously her grandfather bombed a London supermarket, killing twenty-three people in the process. Her mother, Noor, who ultimately confessed to helping make the bomb, is serving a life sentence. But before Violette’s involvement in the French tragedy can be established she disappears, along with a younger male student. Bish Ortly has another interest in this case besides his daughter: he was involved in Noor LeBrac’s arrest. The first reviews I saw about this book talked about how good it was to see Melina Marchetta venturing into the world of adult crime fiction. Having now finished the book I’m not sure that that was her intention (even though I have been told that she herself has said so). I thought the author would still see herself writing mainly for an older YA audience, helping them come to terms with some of the serious issues of the adult world, in particular terrorism, racism, and sexuality. I didn’t think that so much for the bulk of the book, but certainly felt it in the last few pages. Printz Award for Excellence in Young Adult Literature in 2009. In 2008, Melina’s first work of fantasy, Finnikin of the Rock, won the Aurealis Award for Best Young Adult Novel and was shortlisted for the 2009 CBCA Award for Older Readers. Melina’s most recent novel, The Piper’s Son, was published in 2010 and has been long-listed for the Miles Franklin Award and shortlisted for the New South Wales Premier’s Literary Awards. Melina’s novels have been published in more than sixteen countries and twelve languages. I was intrigued to see that Melina Marchetta had written a crime novel for adults because she’s bucking a trend. These days it seems nearly all the crime writers I know of are moving away from writing for adults towards the presumably more lucrative YA market whereas Marchetta, who has won a string of local and international awards for her YA novels, has gone in the other direction. I knew nothing about the book before diving in other than that it was for adults and at least vaguely a crime novel. Perhaps not surprisingly given her previous work TELL THE TRUTH, SHAME THE DEVIL does feature more teenagers than the average book for adults but the story’s main character is Bashir “Bish” Ortley, a senior desk-based officer with the Metropolitan Police in the UK currently on suspension for reasons I won’t go into here. When the book opens Bish is at home teetering on the edge of a personal abyss when he learns that there has been an explosion on a tourist bus full of teenagers in Normandy. Bish’s daughter Bee is on such a trip and he is immediately galvanized into action. He and his mother soon arrive at the Calais campground where the explosion took place and discover death, barely controlled chaos and a whole lot of fear. It soon becomes known that one of the teens on the bus is the daughter of a notorious terrorist, a woman who confessed more than a decade earlier to a bombing in England which killed 23 people. Violette LeBrac is at once a ‘person of interest’ but she manages to disappear from the campground before much official questioning can take place. Bish, being currently unemployed and having a personal stake in matters, becomes semi-officially involved in the subsequent hunt for Violette and the younger boy who disappears with her. This is one helluva story. It does rely on some potentially unlikely coincidences – it reminded me of Kate Atkinson novels in that way – but Marchetta’s skill at weaving all the complex strands of narrative together allows the reader to believe it all. This overall sense of credibility is aided by the many real-world elements incorporated into the storyline such as the role social media plays in most lives these days and the ever-present tension between society’s demands for punishment and revenge and the fact that most individuals have a basic humanity to them. And then there’s the fact that it’s a damned fascinating story and perfectly paced to boot. Where so many thriller writers go wrong (for me) is that they never let their characters, or their readers, catch their breath. TELL THE TRUTH, SHAME THE DEVIL is full of suspense (it kept me awake way too long on a week night because I had to know what happened) but there are pauses and light moments and characters have time for some introspection even while chaos unfolds around them. As a nearly 50 year old woman I’m not all that interested in stories which only show the world from teenagers’ eyes so have been a bit bemused by the recent explosion in YA popularity among adults and was a little wary when I realised so much of this book would focus on teens. But Marchetta has done a great job of allowing us to see things from all her characters’ perspectives. The dialogue in particular is spot on and the subtle differences between adults talking to each other, teens talking to adults and teens talking to each other shows both where the adult and teen worlds are similar and where they’re wildly different. It’s a real highlight of the book. In fact the characterisations as a whole are a highlight. Whether it is Bish himself or Violette or her mother – whom Bish is forced to visit in prison to gain what insights she’s prepared to share that might help him to locate Violette – or any of the more minor characters they are all very believable and compelling. In short, I loved TELL THE TRUTH, SHAME THE DEVIL. It’s got action, suspense, humour, sadness and enough hope to ensure the reader is not left feeling suicidal at the end. It has a very ‘of the moment’ sensibility in that it tackles very topical issues such as the role of social media in the modern world and the complex way we collectively deal with horrendous crimes such as terrorism, but all of this is done intelligently so that the book won’t feel out of date in a year’s time. Highly recommended. 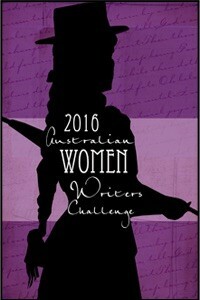 This is the 15th book I’ve read and reviewed for the fifth Australian Women Writers Challenge (well technically it’s 14.5 as one book was written by a father daughter team). For more information about the challenge check out my challenge progress, sign up yourself or browse the Challenge’s database of reviews.